Shop for Baby and Child Tissues, Wipes & Sanitisers products from a variety of different brands. Greener Beauty is always vegan, always cruelty free, only ever ethical brands and always toxic chemical free. Lovingly made using soothing chamomile & calendula, our wipes will leave your baby’s delicate skin feeling silky soft and squeaky clean. 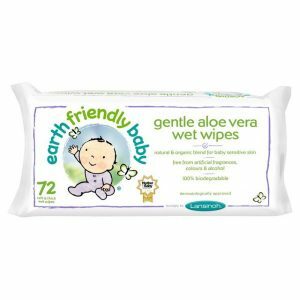 Perfect for everyday use, our eco baby wipes are thick and easy for you to use and 100% biodegradable. 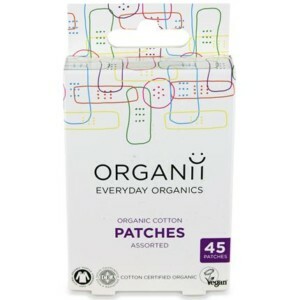 Organii Organic Cotton Plasters mixed provide long lasting care and protection against skin cuts and grazes allowing the skin to breathe and heal naturally. 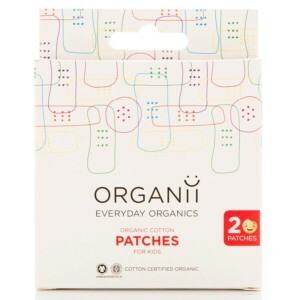 Organii Organic Cotton Plasters for kids provide long lasting care and protection against skin cuts and grazes allowing the skin to breathe.